(RxWiki News) Everyone knows that men and women have some differences. But did you know that those differences may extend all the way to health problems like heart attacks? It's true — research suggests that women and men may have a different experience when it comes to heart attack risk factors, symptoms, recovery and more. Despite these differences, heart attacks are still a leading cause of death for both men and women. Immediate medical attention is critical if you suspect that you're having a heart attack. For men and women, most heart attacks are the result of a blood clot blocking a blood vessel that leads to the heart. Both men and women can suffer from a buildup of plaque in the arteries that causes blockages that lead to heart attacks. However, women tend to have higher blood flow and smaller coronary arteries. And men tend to accumulate plaque in clumps, while women have more evenly distributed plaque. According to the University of Texas Health Science Center at Houston, women tend to develop heart disease that can lead to a heart attack in their 60s and 70s, as opposed to men, who typically develop heart disease in their 50s and 60s. Aside from the typical risk factors for heart disease, such as smoking, poor diet and lack of exercise, taking birth control pills could raise women's heart disease risk by around 20 percent if it's combined with smoking cigarettes, according to UTHealth. According to the Cleveland Clinic, women may face other heart disease risk factors, such as high blood pressure and diabetes that develop during pregnancy, polycystic ovary disease and endometriosis. 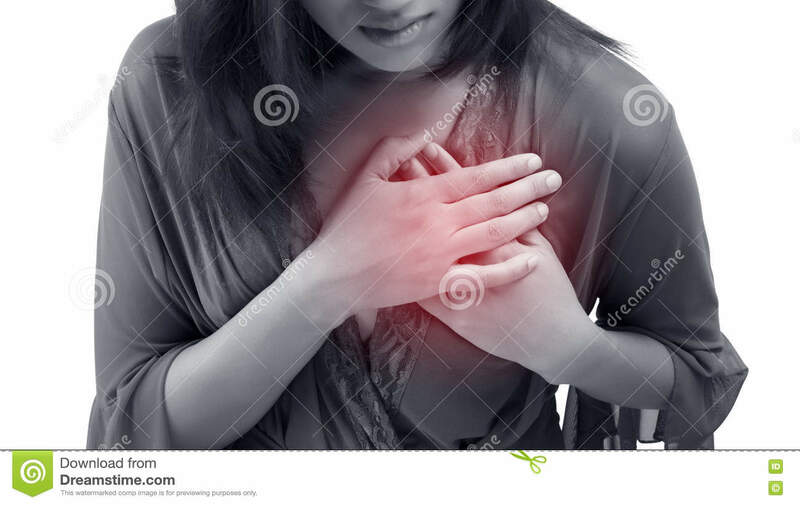 Typical heart attack symptoms for men include pressure, tightness or pain in the chest that radiates pain or discomfort through the left arm. But around two-thirds of women who die suddenly from heart disease did not show symptoms beforehand, according to UTHealth. Even when women do show signs of a heart attack, the symptoms can be less noticeable or different than they are in men. 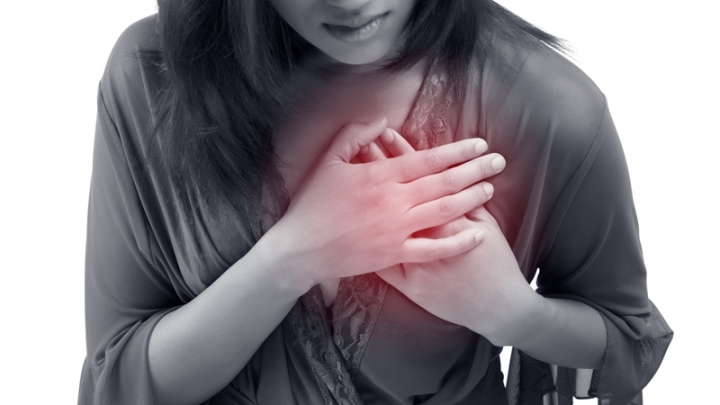 Heart attack symptoms for women might include unusual fatigue, nausea, jaw pain, back pain and shortness of breath. Although people commonly think of heart attacks occurring primarily in men, roughly the same number of men and women die from heart disease each year, according to UTHealth. Women, who tend to have heart attacks at older ages than men, may be more likely to die within a few weeks of the event. Among heart attack survivors, women appear to be more likely to require a longer hospital stay, according to the Cleveland Clinic. On top of that, women may be more likely than men to have an additional heart attack within a year. This may be because women are less likely to receive medications that can prevent blood clots that can lead to a second heart attack. As different as men and women may be when it comes to heart attacks, the ways to stay heart-healthy are largely the same for everyone. Exercise, healthy eating, not smoking, and maintaining a healthy blood pressure are heart health habits both men and women can benefit from. If you're concerned about your heart health, talk to your health care provider.